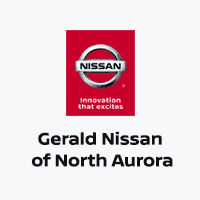 After you find the Nissan you love, the finance team at our Nissan dealership near St. Charles, IL, will walk you through the financing process. Interested in leasing a brand-new Nissan so you can trade it in for a newer model in a few years? We can explain the terms of your lease options. If you want to learn about your options for auto loans, our team can help with that as well. We work with many credible lenders to craft a payment plan that fits your lifestyle and budget. Whether you’re dreaming of getting behind the wheel of a Nissan Maxima or a Nissan Pathfinder, we’ll find a financial solution for you. Feel free to fill out a finance application, get pre-qualified for financing or value your trade-in on our website to get a head start. We can’t wait to help you get the keys to the Nissan you love!